Searching homes for sale in Playa del Carmen, Quintana Roo, Mexico has never been more convenient. 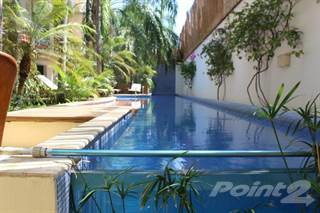 With Point2 Homes, you can easily browse through Playa del Carmen, Quintana Roo, Mexico single family homes for sale, townhomes, condos and commercial properties, and quickly get a general perspective on the real estate market. Point2 Homes gives you far more than a simple list of houses for sale. Get instant access to loads of relevant information about Playa del Carmen, Quintana Roo, Mexico real estate, including property descriptions, virtual tours, maps and photos. If you like a house for sale and you want to speak with a professional, simply contact the listing agent right from page of listing details. Or if you want to talk to an agent before anything else gets done, you can click the Tools tab and Find an Agent – you get a list of real estate agents in Playa del Carmen, Quintana Roo, Mexico, all ready to give you top-notch professional advice on house prices and more detailed information about your target area. Use the map view to find homes and apartments for sale based on amenities and features in Playa del Carmen, Quintana Roo, Mexico that you may want close by. You can select your preferred area or neighbourhood by using the radius or polygon tools in the map menu. Filter among the 4,698 listings in Playa del Carmen, Quintana Roo, Mexico, based on real estate price drops in the past six months, so you’ll never miss a bargain. Get new listings in your inbox, daily or every week, based on your preferences, by simply saving your searches. All it takes is two clicks. Located on the Yucatan Peninsula in southern Mexico, Playa Del Carmen is known as a major tourist destination due its proximity to Playa del Carmen and its location on the shores of the Caribbean Sea. Playa Del Carmen is part of the large area known as the Mayan Riviera and has a population of approximately 150,000 residents. Playa Del Carmen’s main industry is tourism with fishing coming in second. Known as a resort town, ‘Playa’, as the city is often called, has a more laid back and toned down approach compared to Playa del Carmen which is 45 minutes to the north. The major college in Playa Del Carmen is the University of Quintana Roo which boasts a health sciences program. Culture and history play a major role in Playa Del Carmen’s appeal. Home to the Mayan Native Americans centuries ago, the area was mainly still a small fishing village less than 100 years ago. It wasn’t until the 1990’s that the population of Playa Del Carmen increased considerably jumping from 17,000 in 1995 to over 100,000 by 2005. Playa Del Carmen offers a more Mexican vibe than the tourist resorts to the north. Its genuine charm comes from its authenticity through local shops and services. There is plenty of Mayan and Aztec influence throughout Playa Del Carmen and the world-famous archeological sites nearby showcase the roots of the people. Quinta Avenida is the main hot spot in Playa Del Carmen where boutique shops, bars, restaurants, and nightclubs are located. Businesses range from small locally owned stores to international brands like Victoria’s Secret and Walmart. Playa Del Carmen has sandy white beaches along the Caribbean shores with tropical jungles inland. Limestone soil has prevented rivers from flowing so water aboveground is scarce (there is plenty belowground). The climate is pretty steady throughout the year. In May, the hottest month of the year, the temperatures reach into the mid-80’s whereas the coldest month is January with temperatures averaging in the mid-70’s. Hurricane season runs from June to November with the months of August and October being the peak time. Real estate and rentals are affordable but not as cheap as they once were. Developers have built everything to accommodate a variety of budgets from condos and casitas to luxury homes overlooking the water. Although developed as a resort town, Playa Del Carman maintains its true Mexican charm with plenty of opportunities to live, work and retire. 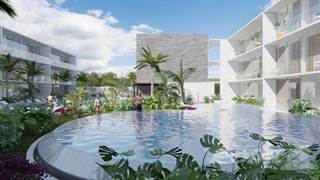 Its growth will help make Playa Del Carmen an attractive place as it continues its development. There are many museums in Playa Del Carmen to display the rich history of the area. The 3D Museum of Wonders celebrates 3D art and is a one-of-a-kind in the Americas. It is a truly unique museum. The Museo Mexicano was the first museum built in Playa Del Carmen and was designed to display the incredible culture and lifestyle of the Mexican people. The lifestyle in Playa Del Carmen revolves around relaxation. Although an increasingly popular destination, Playa Del Carmen still maintains its laid back vibe and is a premier destination for those seeking relaxation. Playa Del Carmen hosts the May Riviera Jazz Festival every year. Playa Del Carmen has maintained a football team since 1999 but the main sport attraction is the PGA which has a tournament stop at the El Camaleón Golf Club. Playa Del Carmen has a vibrant nightlife with many favorite bars located near the beach. While stores close by 10pm, nightclubs routinely are open until 6am. The Blue Parrot is famous for its nightly fire show as well as dancing on the beach and swings at the bar. There are four main neighborhoods in Playa Del Carmen. Hotels, tourist destinations and major urban amenities are found in La Quinta and Playacar whereas Avienda Juarez and the area just north of downtown provide more local character. Playacar is filled with over a dozen hotels and all-inclusive resorts, a golf course and stores. Most of the property is considered luxury property. Quinta Avienda, or Fifth Avenue as it is also called, is the main tourist destination. La Quinta offers hundreds of smaller shops owned locally, a town square and just about anything a tourist could ask for. North of Downtown is where one finds quieter beaches and a more authentic way of life. Resort areas have not been built here and the farther north one goes, the less crowded it is. Rarely do tourists make it this far away from the resorts or downtown Playa Del Carman but this is a very Mexican area with great food and safe places to live. Most residents are of Mexican descent and not foreigners. 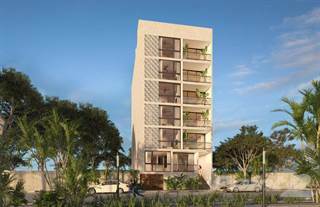 Real estate construction remains very strong in Playa Del Carmen and even pre-construction sales are quite hot. It is a resort community with small town charm. The cost of living in Playa Del Carmen is higher than in nearby Cancun. Rent prices are over 33% higher than in Cancun and 71% higher than in other resort communities such as Acapulco. Because of the population boom in the last couple decades, many homes, condos and apartments will be newer. The housing market is tied directly to the tourist economy as well as the income potential of retirees and expats. Investments in the city are major as many wealthy Mexicans opt to purchase property in Playa Del Carmen. One of the more attractive aspects of Playa Del Carmen is its proximity to the beach and shops. Most of the time residents are within a 10 minute drive from the beach or La Quinta. This will change as development continues inland and commute times increase. Playacar is the main location for residential and tourist development. Condos and villas are nestled behind gated communities and hotels, golf courses and shopping complexes fill the area nearby. 7% of the population in Playa Del Carmen is non-Mexican. Most foreigners are from North America and Europe. They are seeking the warm climate and beautiful scenery away from their homes. Many folks who move to Playa Del Carmen full time will often open shops or work in their respective trade in order to finance their lifestyle. While Playa Del Carmen is not well-known for its colleges, two of the most famous in the city are the Universidad de Quintana Roo and the Universidad Del Sur. Both universities offer acclaimed Bachelor’s, Master’s and Doctoral degree programs. Public schools are free to students and are funded by the government just like in the United States and Canada. Only Mexican students attend for free though. Non-Mexican citizens do have to pay tuition even at public schools. Public schools are overseen by the Secretary of Public Education, commonly known as SEP. They regulate both public and private schools in Mexico; however, private and parochial schools do not receive funding by the government.